On Sunday, we visited family and I made us a gorgeous roast chicken Sunday lunch. 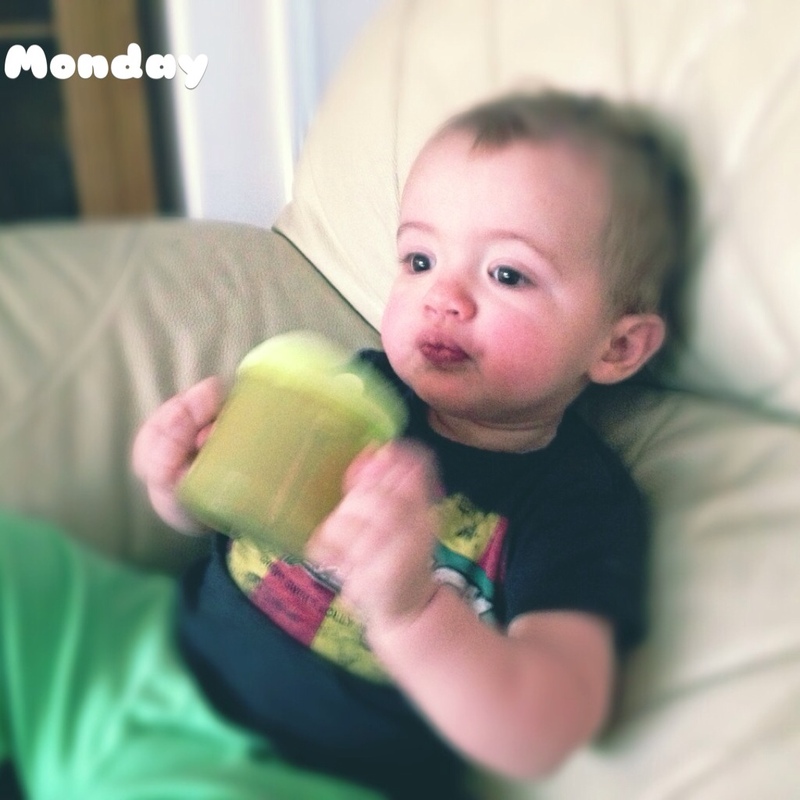 On Monday, we went swimming and afterwards Thomas came home and chilled out with some chocolate milk. 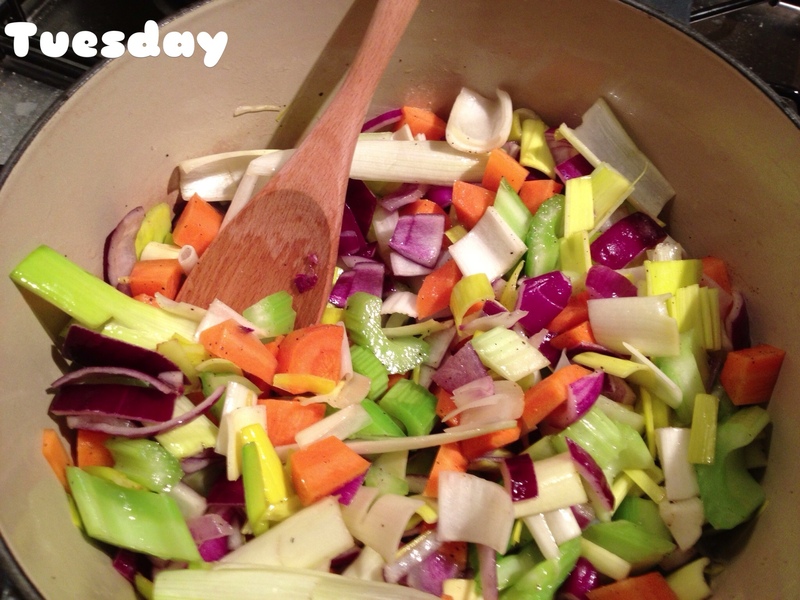 On Tuesday, I went to work then came home and made vegetable soup. 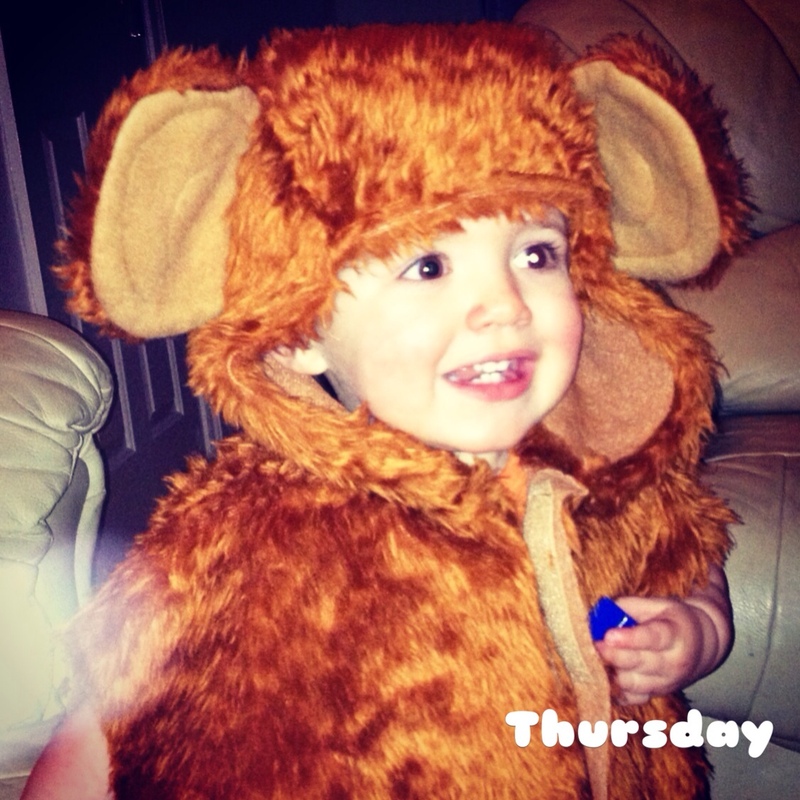 On Thursday, Thomas tried a monkey costume borrowed from a friend on, to see if it would fit for a fancy dress day at nursery soon. I think it is a bit big for him this year but he will hopefully be able to wear it next year. 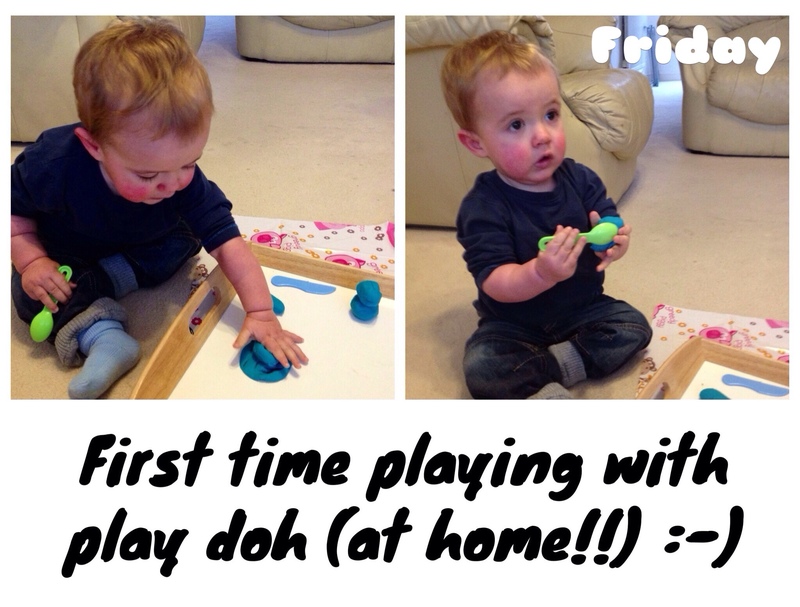 On Friday, after our trip to the nature centre I let Thomas play with play dough at home for the first time. I think we need to get a few more things to help him play with it more (rolling pin, cutters etc) but he had a great time. 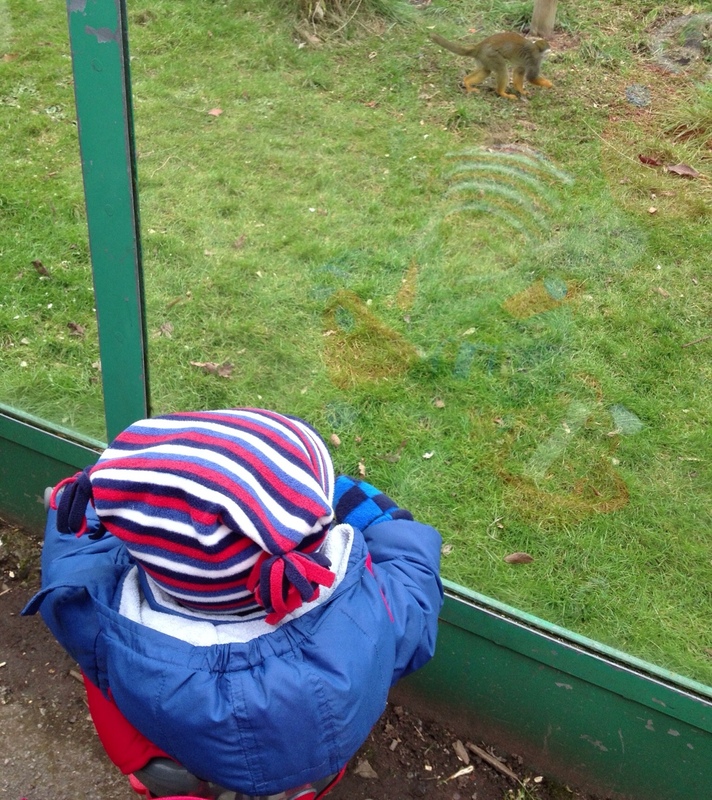 Country Kids (W/E 23rd February 2013) – Monkeying Around!! 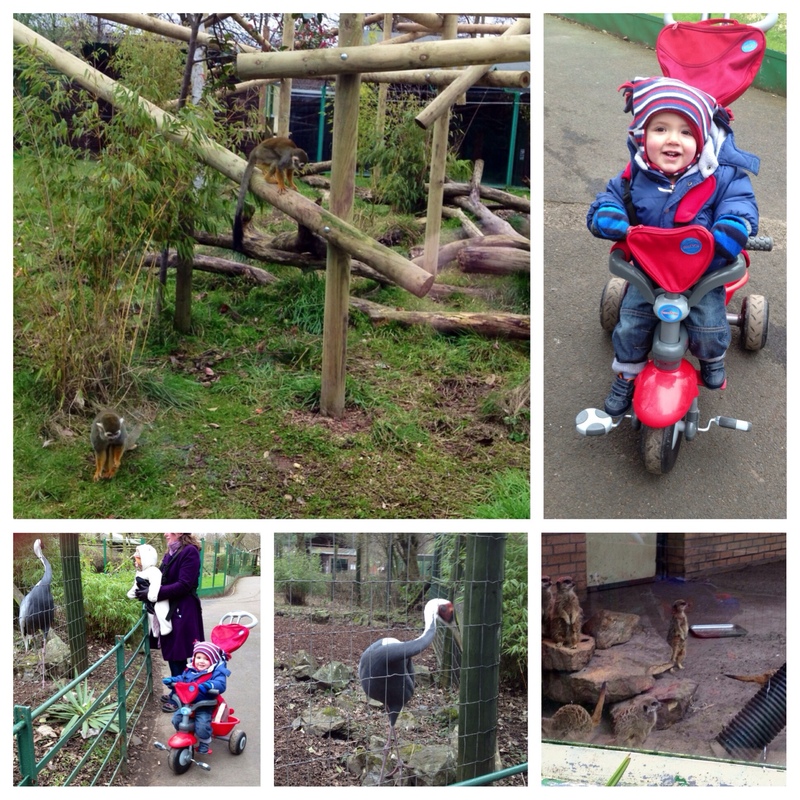 Yesterday, we went to the Birmingham Nature Centre for the first time. The nature centre is a small zoo located near Cannon Hill Park, just off the Pershore Road in Birmingham. It was very cold and quite a few of the animals were hiding but we did get to see lots of monkeys, meerkats, birds, sheep, goats, and otters. 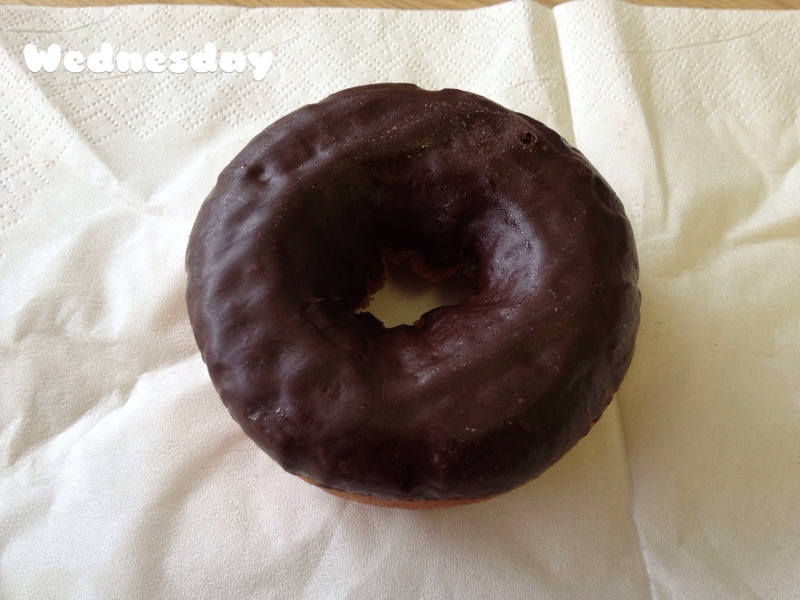 It was a lovely way to pass a morning. 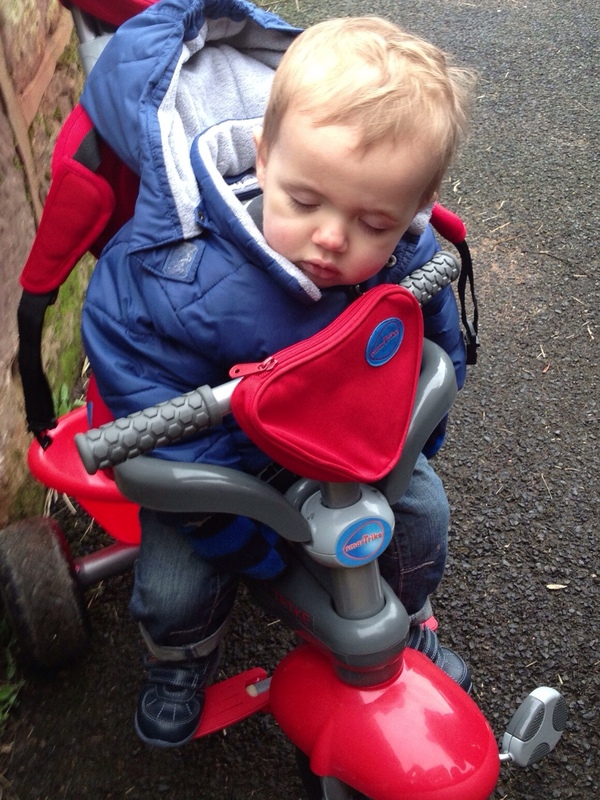 Thomas enjoyed it as I took him on his trike, meaning he could see and interact more with the animals. I am hoping we can return to the nature centre in the summer when the weather is warmer! 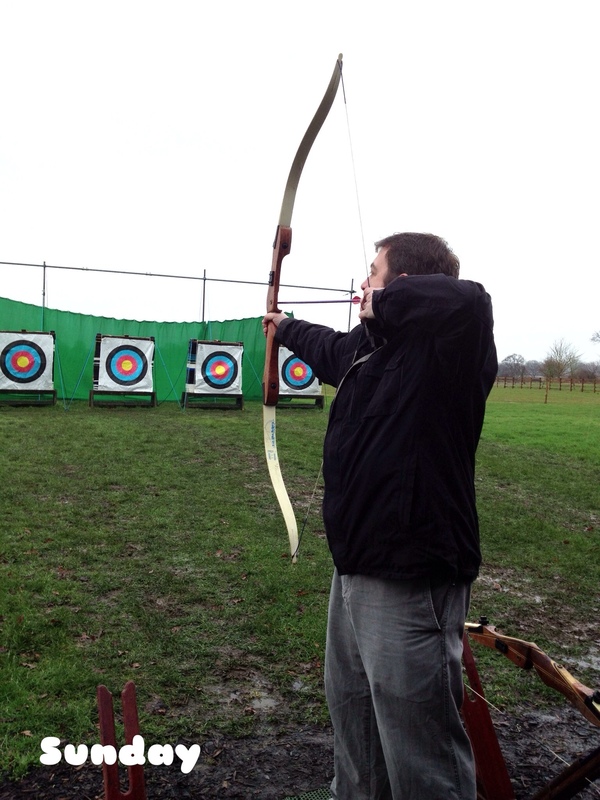 On Sunday, Stuart and I went on an archery and shooting experience with my mum, stepdad, sister and her boyfriend. We had a cold but fantastic time. Thomas went with my dad down Bewdley to visit my nan. On Monday, Thomas and I went to baby signing at our local Kiddicare, then had something to eat in the cafe and a go in the play area. Thomas loved the big bears that were in there. 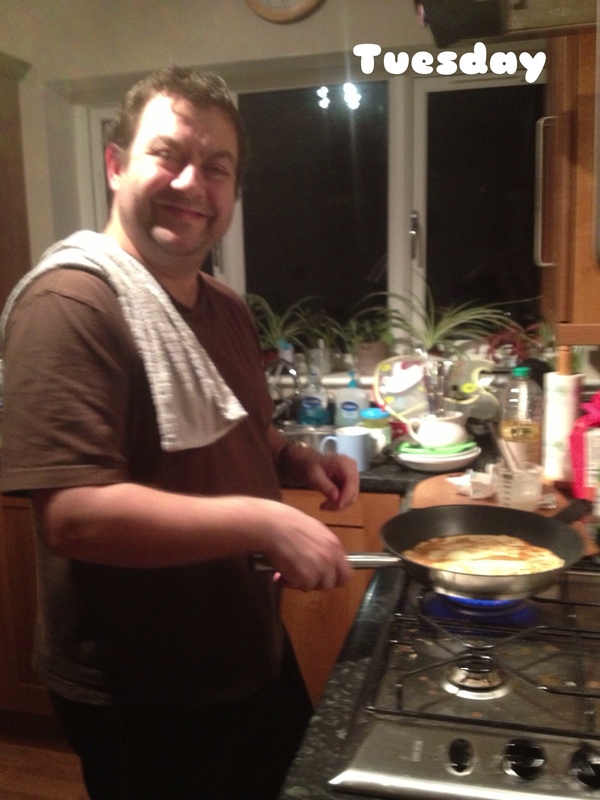 On Tuesday, it was pancake day so Stuart got the job of making them as I am useless!! On Wednesday, Thomas brought some artwork home from nursery. They had got inspired by the snow and used cotton reels to do some stamping. 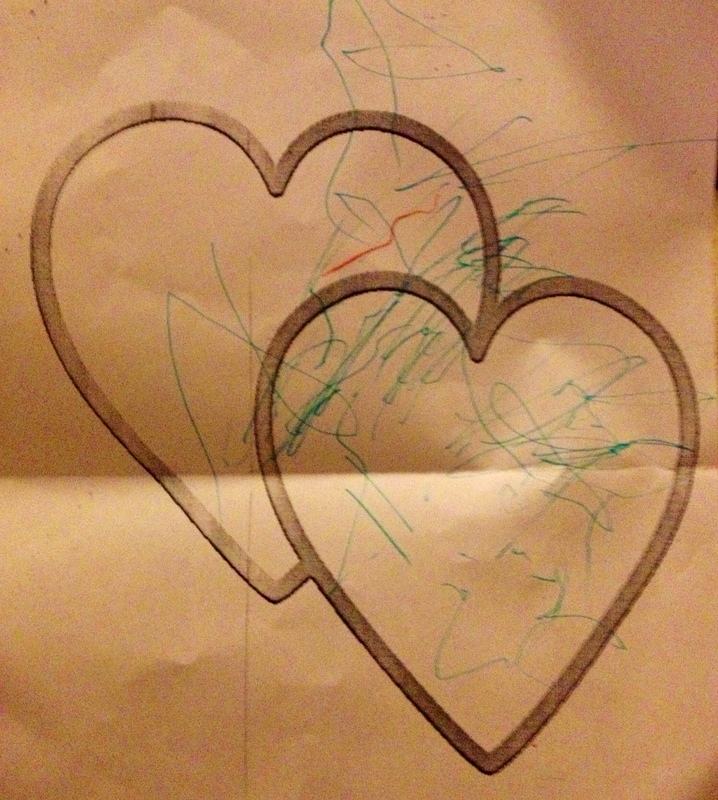 On Thursday, Thomas brought a valentine's drawing home from nursery. I was a very proud mummy indeed! 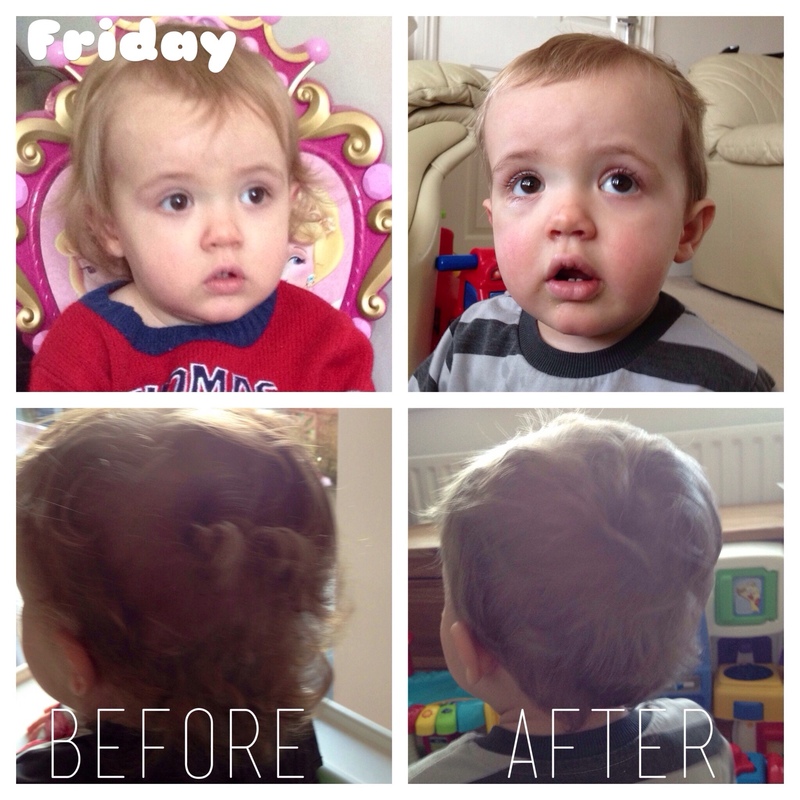 On Friday, I took Thomas for his first haircut. Here are the before and after photos. Thomas hated having his haircut. He screamed all the way through. It was very traumatic for both of us. 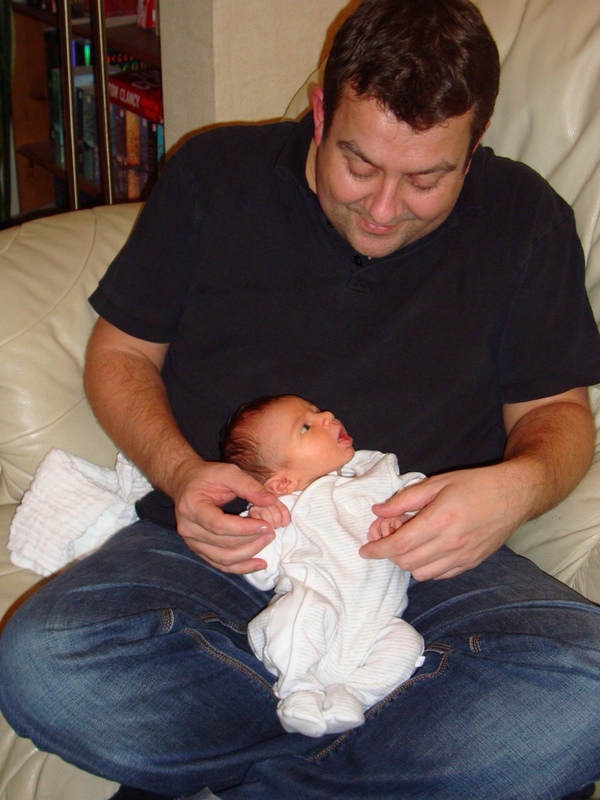 My baby has gone now and he is a proper little boy! Yesterday, we went to our local pub and Thomas decided to copy the bigger kids. 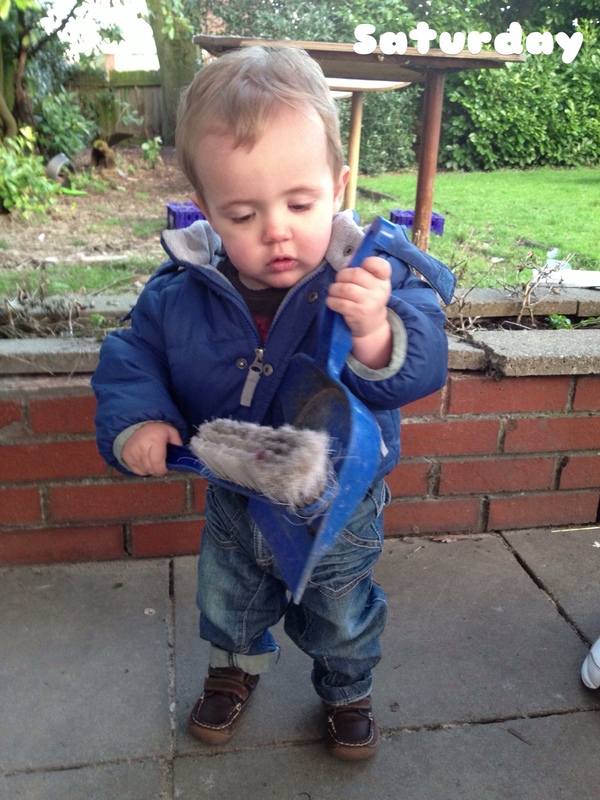 He saw them sweeping them up outside and went to help them. I hope he enjoys it this much when he is older!! !